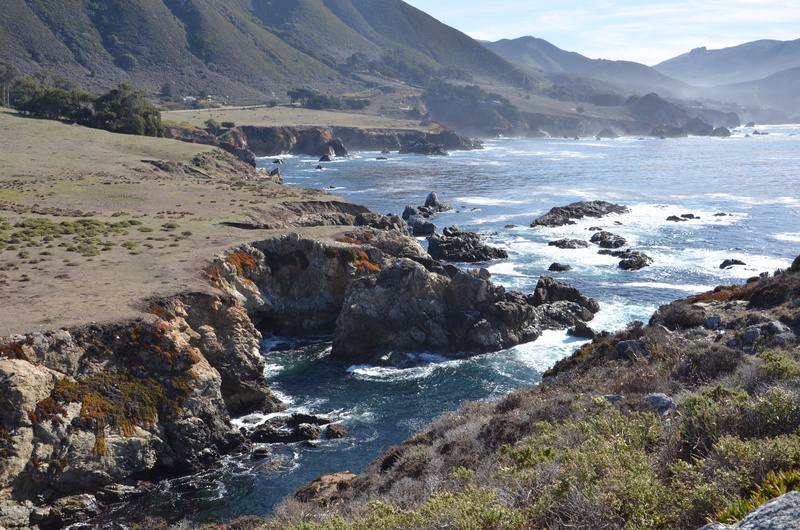 In my opinion, there isn’t a more beautiful coastline than the Big Sur region. The rocky bluffs and turquoise blue waters are mesmerizing. I frequent this area a lot when I feel the need to decompress and balance myself. There is something about the remoteness of this area and the Pacific Ocean that is so healing and relaxing. This is probably a good reason why a lot of celebrities venture up this way when they want to escape the rat race. The Ventana Inn is located on the east side of Highway boasting a prime position overlooking the Pacific Ocean and is the perfect destination for a relaxing and rejuvenating experience. This property, The Ventana Inn, sits on the hillside above Highway 1 in Big Sur, CA and boasts some incredible panoramic ocean views from many locations throughout the property, especially from the restaurant patio. 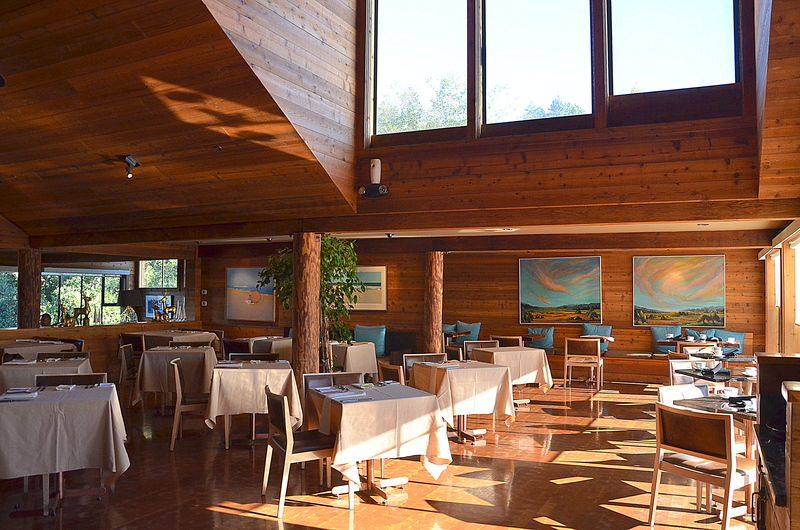 The property is so serene with its ocean views, majestic redwoods, and the wildlife that roam the property. Along with the many deer that populate the area, I actually saw a bobcat during my stay as well. I highly suggest taking advantage of the informative guided walking tour offered in the mornings. It’s an enjoyable walk around the property trails and you will learn a lot about the indigenous habitat. I can’t tell you how accommodating the front desk staff was to me. Because I had stayed at this resort before, I had a specific room in mind and when I found out that I was not in that room, I questioned it. The staff gladly gave me the ability to actually view a couple rooms before I checked-in in order to guarantee my satisfaction. And boy am I glad they did, had I just gone with the room I originally wanted, I would have missed out on the incredible room I got. As an added little perk, each guest gets a glass of wine at check-in. This is a small property with 60 rooms total. For as small as this resort is, there are many different types of room categories offered. There are units facing the woods and some facing towards the ocean, some with fireplaces and/or spas, but a good fact to know is that there is a category of rooms called Pacific House and these are the resort’s newest units. I have stayed here a couple of times and have had the opportunity to stay in different locations. My first stay was in the Big Sur Spa Suite. The room is quite spacious with natural wood paneling and stone accents. I found the room to be a little dark but I enjoyed the very private location and the fact that it blends in well with the natural setting. 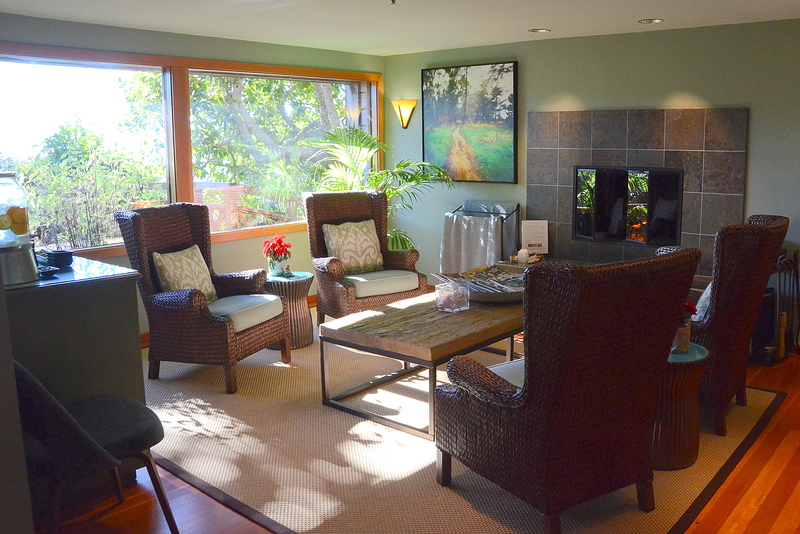 On my last visit, I had the opportunity to stay in a Pacific House room which was a completely different experience. 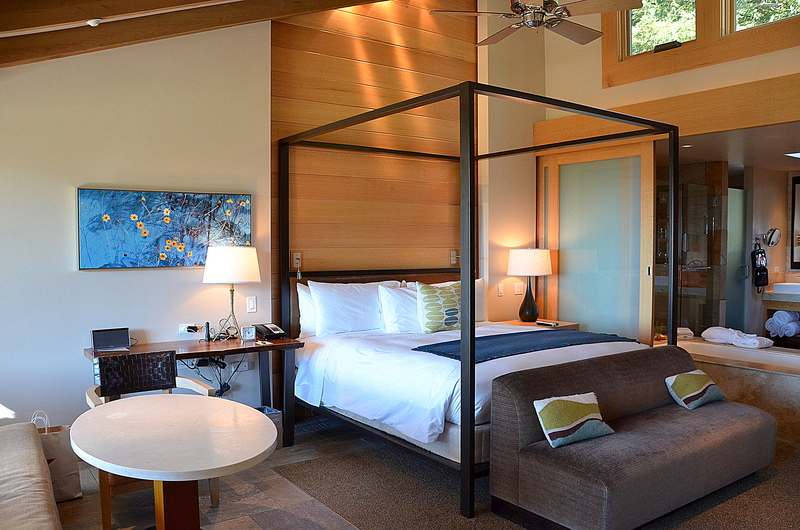 The Pacific House rooms, as mentioned above, are the resorts newest category and the rooms are incredible! The rooms are light and bright, with beautiful stone accents and contemporary finishes and fixtures. These rooms have a soaking tub, large separate shower, dual sinks, fireplace, coffee bar, and a good size patio with a spa. These are also ocean view units and great for sunsets. I stayed in unit #37 and think it was one of the best units because there were no trees or bushes blocking the view. On a side note: An unplanned event helped to make this stay magical. I witnessed my first meteor shower. I happened to be on my patio and started noticing shooting stars, when they kept coming one after the next, I had to Google it to see if there was a meteor shower going on that evening and discovered there was. I ended up sitting out on the patio for probably 2 hours watching this amazing show. The amenities are nice in both style units, it comes down to your personal preference as to whether you want a more earthy, natural feel or a light contemporary feel. A fact to keep in mind is that this resort sits up on a hillside on the opposite side of Highway 1 from the ocean, and the property is very wooded ~ meaning, even if you’re in an ocean view room, your views are from a distance and usually obstructed by some type of landscape. 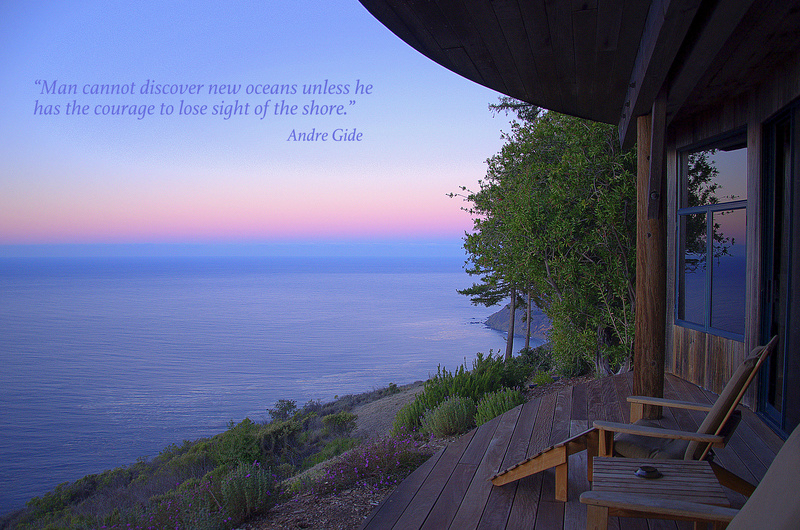 There are very few rooms that have full, unobstructed ocean views. The rooms that possibly have the best ocean views might be the Ocean House units which are located on the second level of the reception building. Keep in mind, there will be a little more people traffic in this area and even though you have a great ocean view, your deck won’t be as private with people walking in and out of the reception building, as well as the Spa which is located in the same general area. However, if you don’t mind that fact, these units are great for the view. The spa is quaint and offers many treatments, however they do not offer salon services such as hair and nails. They can call a technician in for these services but it can get quite costly as there is a flat minimum fee just to get them out and then the cost of the service is on top of that fee. The resort also has a gym open to the guests, along with some Japanese soaking tubs. There are two main pools, one of which is clothing optional for you free-minded individuals. There is one restaurant onsite called, The Restaurant at Ventana, and it is open for breakfast, lunch and dinner. The resort offers a complimentary continental breakfast which is served here each morning. The food is very good and, as mentioned earlier, it boasts the best ocean views on property. There is a bar lounge inside the restaurant, as well as on the outdoor patio. This is a perfect spot to catch the sunset. I had one strange encounter that does not usually happen at a luxury resort. One morning at breakfast when the hostess went to seat me on the patio, which was completely empty except for one other couple, she tried to seat me at one table and I asked if I could be seated one table over. I was told that I could not because they needed to balance the waiter flow. Huh? Reminder luxury hotels are about service, service, service. 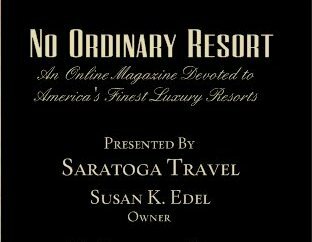 I do believe this was more of an individual issue than a resort issue because i did not have any other service issues during my stay. A word of warning about getting to the restaurant, it is on property but it is a short distance from the resort. There is a gravel path that connects the resort to the restaurant, but if you are in dress shoes or heels and/or going for dinner in the dark, you will want to get a bellman to cart you over. This path is a really nice walk for breakfast or lunch during daylight hours when you are in casual walking shoes. For people who might be interested in hosting events here, the resort has a great staff for coordinating events. The reason for my last visit was for a holiday party I planned for a group of 100 people where I booked 50+ rooms. The event staff coordinated the booking of the rooms, the evening cocktail reception and dinner, along with all the other tiny details to a T! The staff members working that night were friendly and went the extra mile to make the event a great success ~ even so much as pulling out a telescope to entertain some interested guests. In summary, this resort is definitely worth the trip out to Big Sur and will treat you to some peace, rest and relaxation.